Welcome to my football confessions. Now brace yourself, some of these are shocking. And I would apologize for them, but… I can’t. They make up my football persona. So here we go. Confession 1: I’m a terror on Twitter. In all fairness, I’ve made a conscientious effort to improve on this front, but sometimes I tend to get a little carried away while watching football. And sometimes, when I have access to my phone or a computer (and it’s 2015—I always have one or both at my fingertips) I express myself on Twitter. Usually it’s just banter like, “I want to marry Jordan Westerkamp!! !” but sometimes, especially when I’ve had a couple of drinks, I can get a little ranty. This isn’t probably that big of a deal—until the day comes that I drink a little too much wine and tweet “Shut up @KirkHerbstreit” so many times I end up getting blocked. This year, I’ve made a rule that I’m not allowed to tweet anything if I’ve had more than two drinks—or unless I’ve vetted the comment with a friend. Confession 2: Parody accounts are a crucial part of my game day routine. When I’m home watching the game, I have @fauxpelini and @MyKriley pulled up on my Twitter feeds so I can watch the game with the jokers. I’m also deeply saddened when there isn’t a new Tunnel Walk of Shame comic the day before a Husker game. I just feel so empty. And no football Sunday is complete without checking out the latest Aaron Rodgers photobomb or Smokin’ Jay. My father tells me it’s sad to have comedy be such a big part of something as serious as football, but I’d rather laugh than cry. Confession 3: On Game Day I swear… a lot. Look, I’m not particularly proud of this, but there’s something about a football game that brings out the inner sailor in me. In my defense, I grew up watching football with my dad, which is where I learned a lot of my go-to phrases (i.e. “G—D—Refs!”). And my swearing doesn’t just come out in times of strife. Only a couple of weeks ago, I told a collective fan base to go eff itself while wielding my middle fingers at the TV screen after the Huskers made a particularly exciting first down conversion. My sister told me to calm down. Rather than tell her to go eff off too, I counted to ten. See, I’m growing. Confession 4: Sometimes I fantasize about writing a time-traveling romance novel starring Clay Matthews. I’m not sure I could actually pull off writing this book, but I’m desperately waiting for someone else to take the prompt and make it their own. My imagination and I would be ever so grateful. So there you have it. I hopefully didn’t come off too nutsy (just nutsy enough). 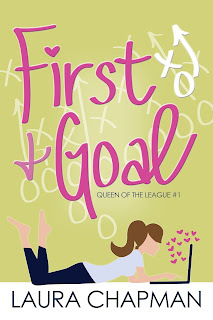 If you enjoyed this, I hope you’ll check out my new novel, First & Goal. 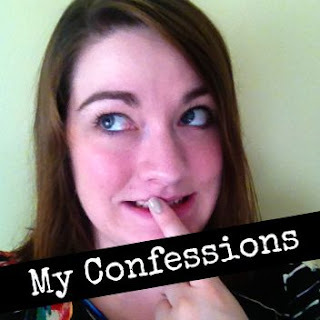 You can also read my other confessions here. Every good love story needs a swoon-worthy heartthrob. 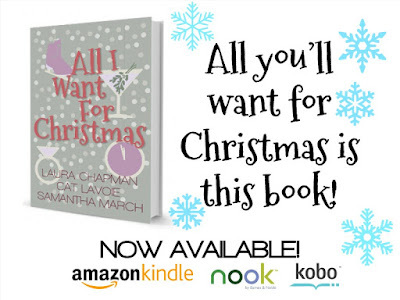 This Man Crush Monday, get to know Rob, the man who captures Natalie's fancy in What Happens at Midnight, now available in All I Want For Christmas from Marching Ink. Oh, Rob. You fulfill so many of the traits I find appealing in a young man. You're smart, fun, family-oriented, and focused. Because Rob doesn't actually get a POV in What Happens at Midnight, I had to develop his character as much as I could through his actions and words. That's always a fun challenge for an author. And like Everett in Making Christmas, Rob's name has a special behind-the-scenes meaning. I named him Rob in honor of Robert Burns, who wrote Auld Lang Syne, which seemed to fit the theme of this story. For the Hallmark adaptation of this story, I'm open for casting options. I wouldn't mind introducing some fresh new talent. And I also wouldn't mind seeing Michael Trevino take the helm. And now for a questionnaire to get to know Rob's holiday tastes. Favorite Christmas Song: Is it too cute if I say "What Are You Doing New Year's Eve?" Favorite Christmas Movie: We used to watch Scrooged a lot every year. Favorite Holiday Treat: I know it's traditionally a Thanksgiving food, but I like pumpkin pie all through the holiday season. Favorite Holiday Drink: I'm usually a beer drinker, and I like Shiner's Holiday Cheer. Favorite Holiday Memory: There are too many to pick just one. I come from a big, loud family. Spending time with all of them is my favorite part of every holiday season. If I had to pick one, I'd probably say the first year I got my dog. My nieces and nephews went crazy for him. He did end up eating a giant cinnamon candle, though, which means he spent most of the night throwing it up. Still, it was a good chance for us to get to know each other better. 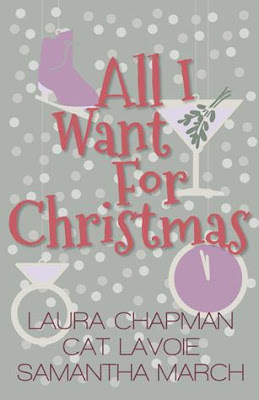 As promised, this week we're back with my imagined soundtrack for What Happens at Midnight, my second novella in the recently released collection, All I Want for Christmas. Same drill... these songs are in no particular order--mostly just in the order in which they were added to the list. I will note that though "XO" by Beyonce was the last one officially added to the playlist, I probably listened to this song 100 times while I was writing this story. I've blogged about this before, but sometimes I listen to the same song on repeat while I write a scene to set the mood. And this particular number just seemed to fit for a lot of Natalie and Rob's story. This is a story I attempted to write a couple of times during the past eight years. (I started my first draft while working as the night reporter at my local newspaper during the holiday season my senior year of college. I didn't get far, but every year after, I'd pick up the concept and start over. This year I finally managed to do it.) So some of the songs have been part of the playlist for a long time. Regardless, I hope you'll enjoy listening to these playlists while read the story or before or after if you're just hoping to get in the holiday spirit--though not all of the songs fall under the heading of Christmas music. I hope you enjoy these tunes (which are in no particular order) while you read this story! Check back next Friday for the playlist for What Happens at Midnight. 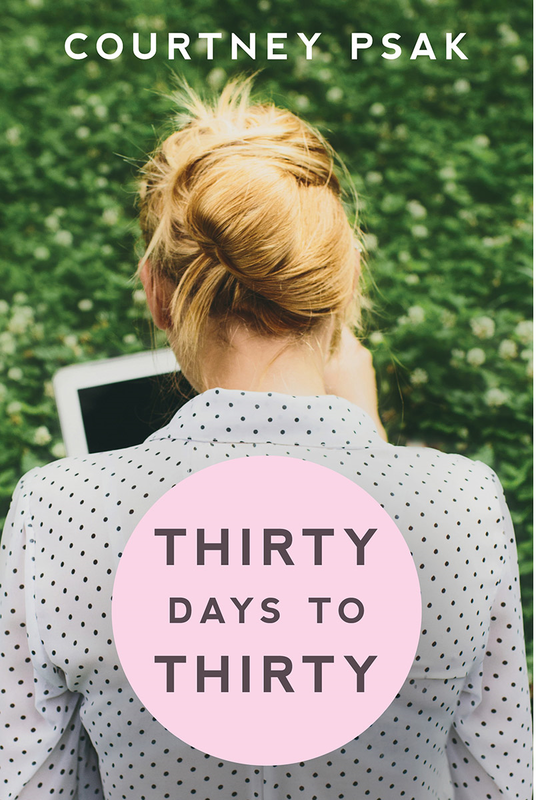 Today we welcome Courtney Psak, the author of Thirty Days to Thirty, to the blog for an interview as part of her Chick Lit Plus blog tour. Be sure to enter the Rafflecopter giveaway for a $50 Amazon card. 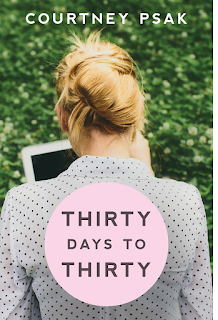 Change the Word: How would you describe Thirty Days to Thirty in fewer than 25 words? 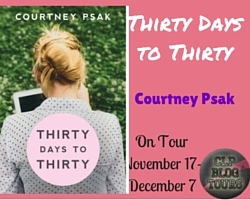 Courtney Psak: A girl who has it all until she doesn't, decides to benchmark her turning thirty in a month to accomplish a list she made. CTW: Where did you draw inspiration from to write this story? CP: I realized a lot of my friends, including myself, started to get the ‘quarter-life crises.’ We were upset over the fact that we were not where we thought we would be by this point in our lives. What I started to realize though, was that when life happens, it’s going to bring you places you never could’ve imagined you would be. In the process of trying to be a particular version of ourselves, we in fact, discovered who we really were. It made us all realize that it’s not necessarily about the goals in life, but what you learn along the way. CTW: What was your greatest challenge writing this story? CP: Myself. So many times I wanted to throw it out because I didn't think it was good enough, or not believable. There was a lot of internal struggle with my confidence. What do you like most about Jill, the main character in Thirty Days to Thirty? I like how brave she is to get out of her comfort zone. At first she is hesitant, but then she fully embraces it. I would love to have the confidence that Jill has. CTW: What are three items on your personal bucket list? CP: Heli-skiing, sky diving and become a full-time novelist. CTW: With Thanksgiving a week away, what is one thing you are thankful for this year? CP: I'm thankful for my husband, who gave me the push I needed to publish this book and I'm thankful to all of my friends, family and readers for all of their support! CTW: What does your writing routine look like? CP: I start with a basic outline that I will continue to flesh out, over and over again. Once I start to actually write, this keeps me from reaching a dead end since I have a way to keep the story going. This allows me to to get more into the dialogue and emotions of the characters. CTW: What is one goal you have for yourself in the coming year? CP: I'd love to make this book successful and publish another one. CTW: What is one piece of advice you would offer to someone just beginning his or her professional career? CP: You are going to make a lot of mistakes, but don't let yourself get in your own way. Stay confident and continue on no matter what. Persistence is the real key to success. 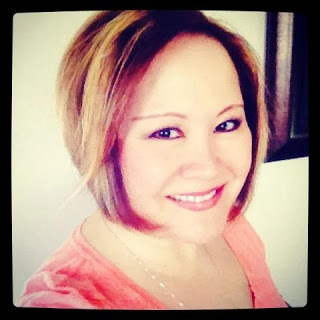 CTW: What’s next for you and your writing career? CP: I'm currently editing my next book about a Hollywood socialite who ends up on a reality show as the made of honor to her best friend and her ex-boyfriend. I'm also outlining a book about a murder that happens at a corporate retreat and the three crazy/flaky characters that it surrounds. 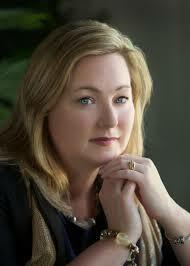 She is a member of the National Writers Association and the Women's Fiction Writers Association. 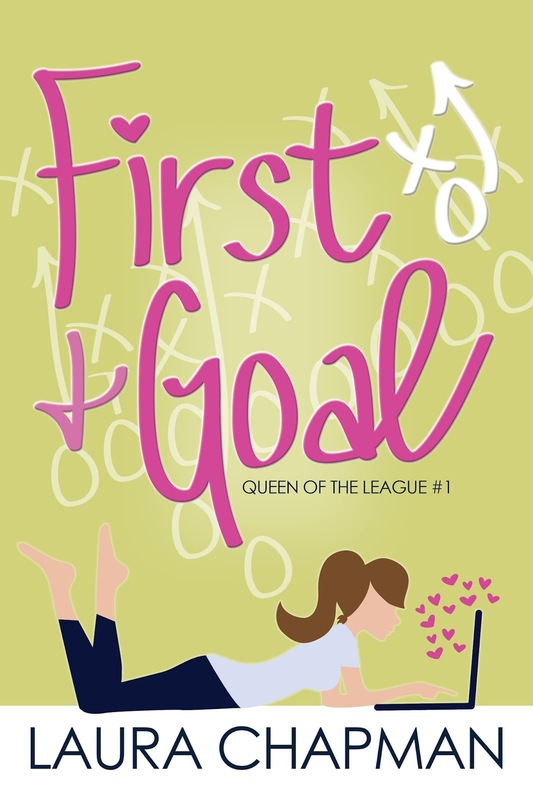 Every good love story needs a relatable, but badass heroine to cheer on to victory. This Woman Crush Wednesday, get to know Ivy, the lead character in Making Christmas, now available in All I Want For Christmas from Marching Ink. If I could be any of the characters I've created when I grow up, I would want to be Ivy from Making Christmas. She's been on some adventures--like living and thriving for years in San Francisco--is a super inventive and productive worker--and entrepreneur--and she has a wardrobe I covet. And she also recognizes the importance of stopping to smell the flowers and taking time to celebrate the moment. Yes, Ivy is who I would like to be when I get where I'm going. Creating Ivy was a lot of fun. 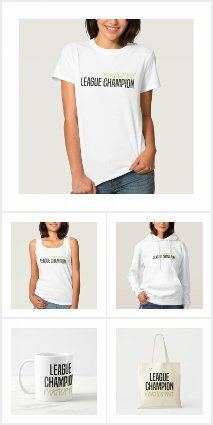 To develop her new profession as the owner of Whiskers on Kittens, a eco-friendly/organic/DIY mail order pet product line, I drew inspiration from my hometown. In recent years Lincoln, Nebraska, has become the home of several Internet startups. I also used my kittens, and their particular likes and dislikes, to create the product. (My cat, Jane, was also the real life inspiration for Ivy's cat, Hazel.) There's a small part of me that wishes this story had been longer so I could explore Ivy's job more extensively. And while looks aren't everything, I see Glee alumni Dianna Agron portraying Ivy in the Hallmark adaptation. While she definitely has Ivy's blonde hair and brown eyes down, I also think she has the ability to portray Ivy's warmth and ambition. Favorite Christmas Song: Hands down, it has always been, and will always be, "Have Yourself a Merry Little Christmas." I grew up watching classic movies like Meet Me in St. Louis, and I always loved that song. Favorite Christmas Movie: Again, I kind of like older movies, like Miracle on 34th Street and It's a Beautiful Life. Favorite Holiday Treat: I like gingerbread and ginger snaps. I'm a fan of anything with a little spice. Favorite Holiday Drink: I recently discovered a gingerbread latte that I really like. Favorite Holiday Memory: Christmas is also my birthday, so my parents always worked really hard to make it a special day for me and then fun for my family. To do that, my parents would wake me up really early, and we'd have a little celebration just the three of us. They did the same thing for my siblings on their birthdays too, and I always thought it was lovely to have that little smaller celebration time. 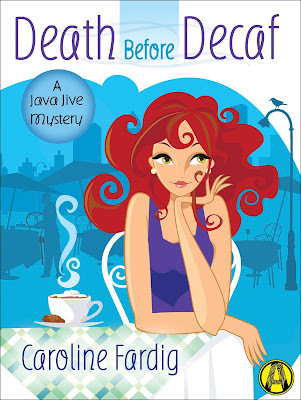 Happy Release Day to Caroline Fardig and her latest mystery: Death Before Decaf. This looks like another fantastic read, perfect to curl up with in the upcoming winter months. Every good love story needs a swoon-worthy heartthrob. 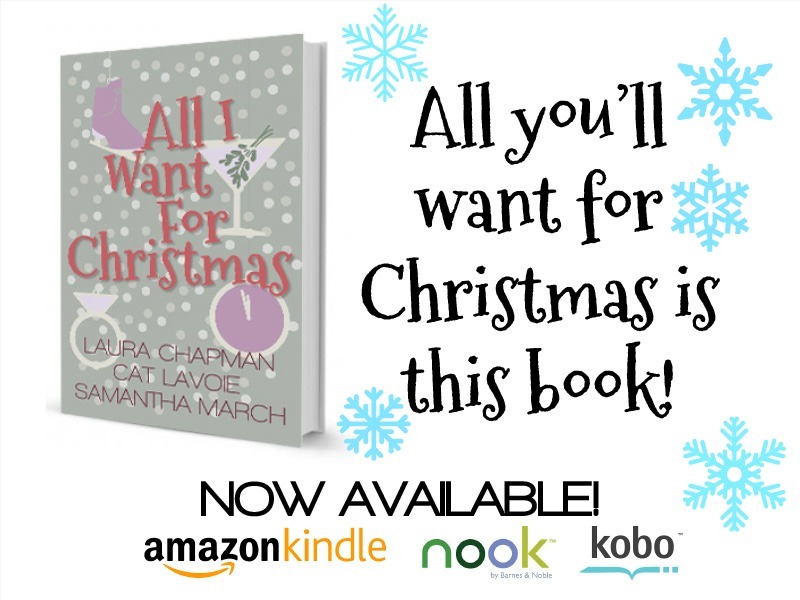 This Man Crush Monday, get to know Everett, the man who captures Ivy's fancy in Making Christmas, now available in All I Want For Christmas from Marching Ink. Oh, Everett. The quiet and broody guy who secretly has a heart of gold. In his late twenties/early thirties, Everett is a lifelong Nebraskan who writes copy for agricultural clients, plays guitar in a cover band, and has a slight obsession with reading biographies to kill time. out of any character I've ever created, he's probably the most like the guys I grew up knowing in marching band and working at a movie theater. Only he's better, because I invented him. There's just something about a cool Nebraska guy. Fun fact: Everett received his name, because every day I drive by "Everett Street" on my way to and from work. I also drive by "Washington," and I nearly named him Everett Washington, because I thought it had a nice ring to it. Then I remembered why it sounded so perfect: There is an actually Everett, Washington, located near Seattle. So I nixed that full name and left him Everett. But as a tribute to my lapsed thinking, I made the city Ivy's hometown. 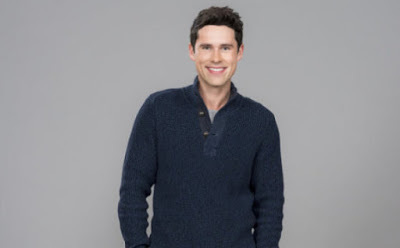 I imagine Ben Hollingsworth playing Everett in the Hallmark adaptation. It wouldn't be much of a stretch for him, I'm sure. Especially not after he starred in A Wish Come True and Lucky in Love. But there's more to Everett than looks. He's a man injured from the past, who needs a little light in his life. Can the spirit of the season save him? Or is he doomed to be a curmudgeon forever? Favorite Christmas Song: I don't know... I guess "Good King Wenceslas," because it has a good story. Favorite Christmas Movie: Probably A Christmas Story. Favorite Holiday Treat: I like frosted sugar cookies with sprinkles. Favorite Holiday Drink: Egg nog. Favorite Holiday Memory: One year my sister and I were excited to meet Santa Claus, but we both chickened out at the last minute. But just as we were about to leave, we had a change of heart. Even though the mall was about to close, and the line had been pretty long, somehow my parents managed to get both of us in to see him. They must have bribed an elf, but even though we kept them all at the store an extra ten minutes, Santa still brought both of us what we asked for: new bikes. We're continuing the release week celebrations for All I Want For Christmas, which features two new holiday novellas from me, including Making Christmas and What Happens at Midnight. 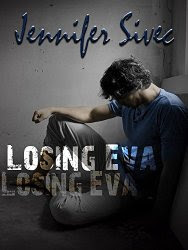 While writing this story during the summer, I listened to a mixture of Christmas and non-Christmas music to help me capture the spirit of Ivy and Everett's story. I've now whittled it down for this playlist--or soundtrack if you like--for your listening pleasure. Three, no make that, FOUR cheers for All I Want For Christmas, which is now available on your e-readers. (We'll have print copies soon!) Can I get a Hip-Hip-Hip-HIP-Hooray? 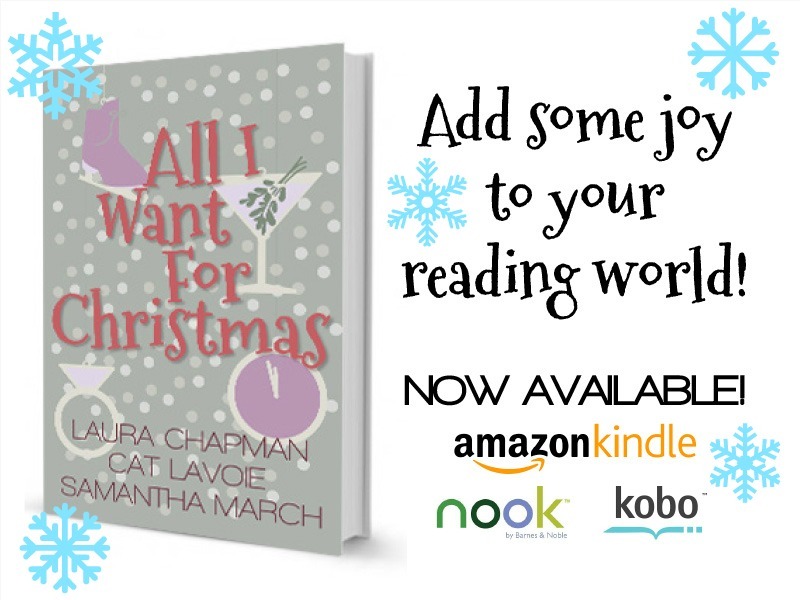 This collection features four new holiday novellas, including Nine Ladies Dancing by Cat Lavoie and The Christmas Surprise by Samantha March along with Making Christmas and What Happens at Midnight by me. 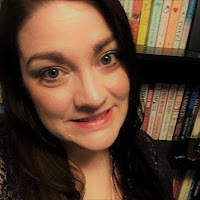 Today Susan M. Boyer stops by to talk about writing and her new novel Lowcountry Bordello as part of her Chick Lit Plus blog tour. Also, check out the super slammin' giveaway of a $50 Amazon gift card with the Rafflecopter at the end of the post. 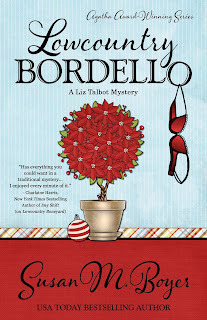 Change the Word: Can you please tell us a little bit about Lowcountry Bordello? 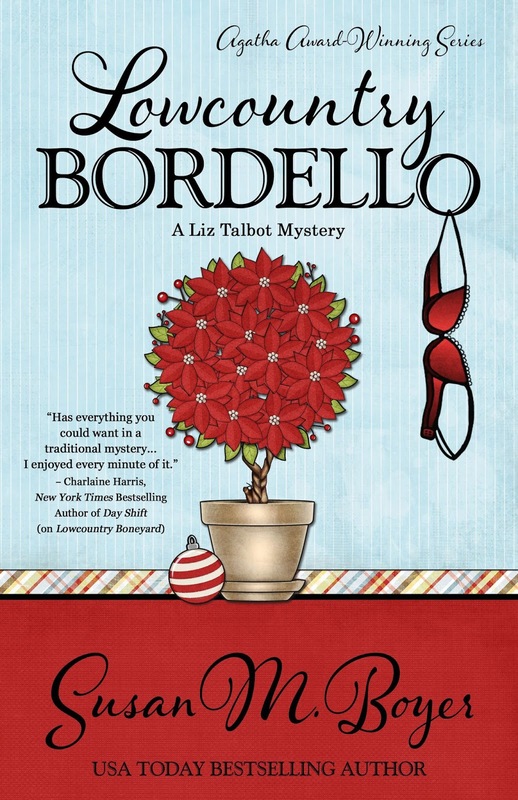 Susan M. Boyer: Sure… It’s almost Christmas, and Liz Talbot’s wedding is fast approaching. The last thing she needs is a new case. 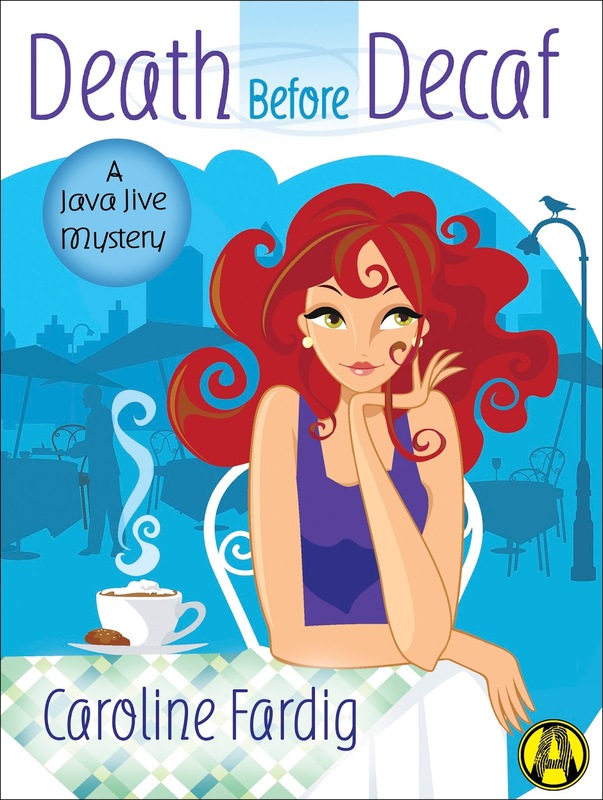 But when one of her closest friends—one of her bridesmaids—discovers a body in a historic Charleston home, Liz has to help. CTW: What has been your favorite part about writing this series? SMB: I love revisiting these characters. They’re like old friends. Also, I love Charleston and the area. We lived there once, and I love the excuse to visit often for research. CTW: What has been the biggest challenge and how do you overcome it? SMB: Finding the time to do everything. I’m having trouble finding my balance between my writing, promotion, and my family. I can’t say I’ve overcome it. Each day is a new challenge. I just do the best I can every day and try not to stress too much. CTW: How do you create and solve the mysteries in your series? SMB: Wow. I have no idea. The ideas come to me bits at a time. I start with a single idea, mull it a while, and it starts to blossom. I usually start with the crime—who did what to who and why. Then I work through to see how my detective could solve the case. CTW: What kind of research went into telling this story? SMB: Ha! Well, I didn’t visit any bordellos, I promise! Mostly this one involved research on specific places in Charleston—inns, restaurants, etc. 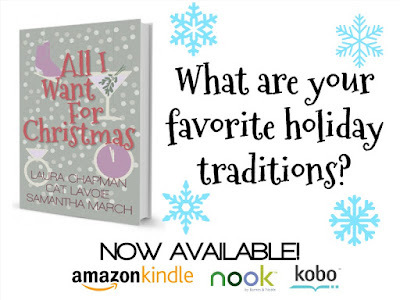 CTW: This story takes place during the holidays--what is your favorite holiday tradition? SMB: I love everything about Christmas. My favorite part is time spent with family. We have a very large family, so this involves several parties. I love them all. CTW: If you could have dinner with any three authors (living or departed), who would you invite and why? SMB: This is so hard! I can think of a hundred. I only get three? I’m going fudge a bit and say I love having dinner with the other Henery Press authors, and would do this any day had the chance. It’s a fun group, and also it’s great to share ideas. SMB: Keep the other cooks out of your soup. For a while I was a bit of a feedback junkie, taking to heart everything anyone said. While I do think critique groups are great, you have to learn to filter. If you hear something once, you have to really weigh it to see if it resonates with you. If you hear something ten times, that’s a whole nother story. CTW: What are three of your favorite mysteries from other authors? SMB: I love Sue Grafton’s Kinsey Millhone series. I’m reading X right now. I love everything Charlaine Harris writes. My favorite of hers…that’s tough. I love her new Midnight, Texas series. And I’m a big Harlan Coben fan. My favorite is the one I’m reading at any given moment, but I did particularly like Tell No One. 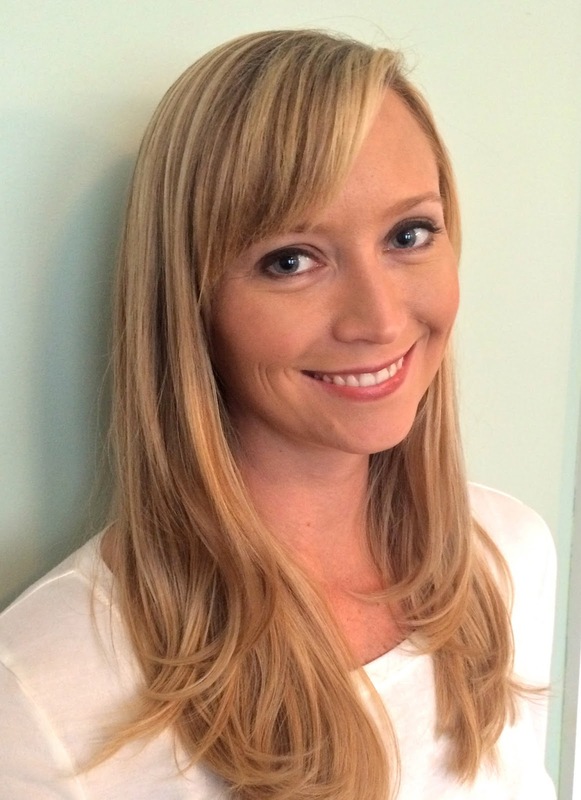 CTW: What's up next for you and Liz Talbot? SMB: Lowcountry Book Club comes out in April of 2016. 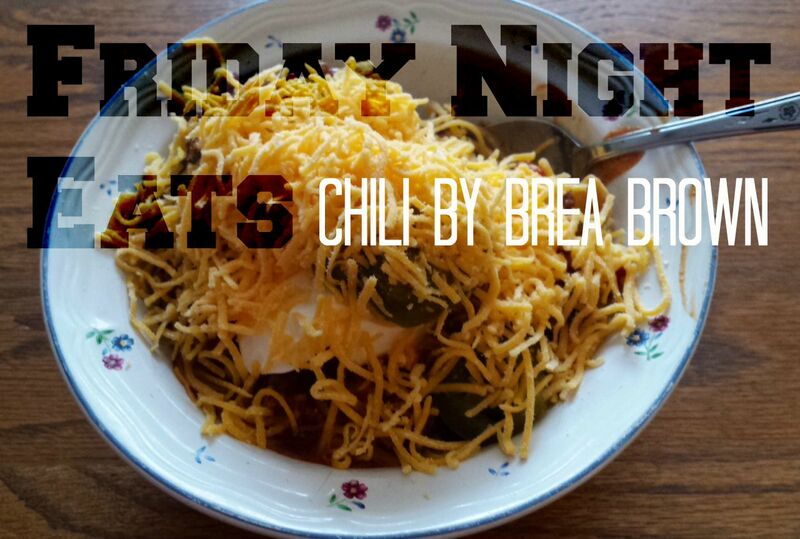 For this week's Friday Night Eats post, I invited Out of My League author Brea Brown to share one of her favorite football watch party dishes. Brown ground beef in large skillet. Drain. Mix drained beef, tomato sauce, stewed tomatoes, beans, jalapenos and jalapeno juice in large stock pot. Cover and heat on medium-low, stirring often, until heated through (usually about 40 minutes). Simmer on low for all-day grazing (just make sure you stir occasionally, so it doesn't burn to the bottom of the pan... that's gross). Serve over Fritos, tortilla chips, corn bread (I use a boxed mix), or hot dogs, if you're feeling really frisky. Sit back and enjoy the game... and the food! Go team!